The Eglinton is the latest big project from esteemed Menkes Developments. Coming this fall to one of the most desirable neighbourhoods in Toronto, Yonge & Eglinton. Nicknamed 'Yonge at Heart', this project comes with endless amenities, style and grace. 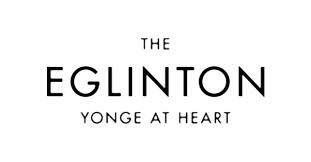 The Eglinton has a convenient 93 walkscore, and is located in one of Canada's most thriving neighbourhoods, Yonge and Eglinton. Highly-rated schools are all within minutes to The Eglinton. It also has access to over 70 nearby restaurants, and many large parks. Yonge & Eglinton features some of the leading retailers along its major streets. Both for the casual to sporty, these sophisticated styles are designed for all ages. Also expect plenty of convenience with home decor, furniture, and accessories. VIP sales are currently underway. Contact me today for more information, or if you would like me to set up an appointment with the builder to purchase a unit.